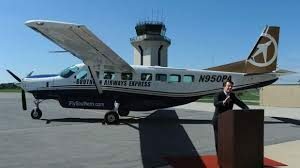 Southern Airways Express which is one of the fastest growing airlines in Tampa has launched direct flight service between Tampa International Airport and Destin Executive Airport on April 5. The flights will operate Fridays and Sundays, a spokesman told the Tampa Bay Business Journal. It will be the sole airline to have a nonstop flight between Tampa and Destin, a 291-mile route. Southern Airways Express operates out of Tampa airport’s fixed based operator Signature Flight Support’s facility. Mark Cestari, chief commercial officer of Southern Airways Express said that Florida is an economic engine and great place to do business. The service between Palm Beach, Tampa and Key West replaced routes previously served by Silver Airways. Cestari said the airline saw numerous markets in Florida that could have potential. The airline will use its nine-seat Cessna Caravan plane for the connection to Destin. Southern Airways Express is geared toward the business crowd as it partners with corporate flyers and offers discounts. The airline currently operates at four hubs — its largest is in Pittsburgh and its newest hub is in Pompano Beach.